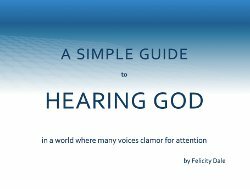 I believe strongly that reading the scriptures directly is the most important thing any of us can do when we are seeking to hear from God. Also, I am very thankful for others who have challenged me, through their writings, to read the scriptures with fresh eyes. I would highly recommend to anyone interested in simple church to read the following books, God has used them greatly in my life to better understand what “C/church” is all about. (click on the book’s title to have the option to buy on Amazon.com. 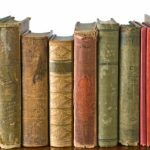 In most cases you be able to read first 30 pages or so without purchase). 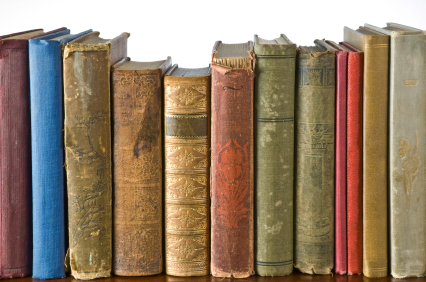 Please share any books that have been helpful to you in the comment section below. Enjoy! Small Is Big! 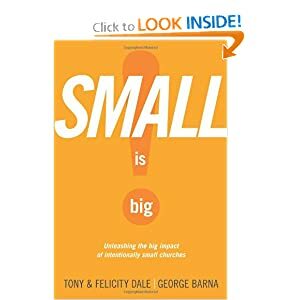 : Unleashing the Big Impact of Intentionally Small Churches. This book, released several years ago by authors Tony and Felicity Dale and George Barna under the title The Rabbit and The Elephant,” is now available in paperback under the new title and includes and couple of additional chapters. This is my favorite book so far on simple church and would be a great place to start if you are considering starting or being a part of a simple church community. The House Church Book: Rediscover the Dynamic, Organic, Relational, Viral Community Jesus Started. Wolfgang Simpson, has been helping others plant house churches in Germany and abroad for many years. 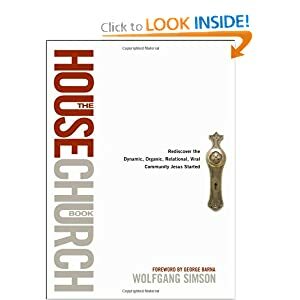 He and George Barna join together to answer the question “Why house church?” This short book is a very bold and thorough case for simple/house/organic church involvement. Pick up a copy of this book! Church 3.0, By Neil Cole – This is Neil’s follow-up book to Organic Church. Covers some of the highlights of Organic Church but dives into some of the more practical aspects of how Organic Church is implemented. Revolution, By George Barna – a short book largely focusing on the research behind “church” in America and the trend toward Christians leaving the church in search of something lest institutional and more relational in nature. The book does a good job of showing how something like simple church could resonate with our world today. 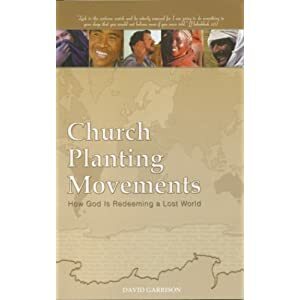 Church Planting Movements, By David Garrison- I first read this book in a seminary class several years ago. It was the first book I read that opened my eyes to a different way of doing church (and the reason for doing it differently!). The books takes a look at the rapid expansion of churches across the world and identifies some common characteristics of these “movements” of God. You can read my review of this book here. No More Spectators, By Mark Nysewander – Mark is a “cell church” pastor from Georgia. This book highlights principles for “disciple makers,” which I believe that God desires us all to be. I think this short book does a super job of painting the picture of the DNA necessary for the multiplication of disciples and simple churches. So You Don’t Want To Go To Church Anymore? by Jake Colsen. This is a book that challenges our understanding of “church” in much the same way The Shack challenges our understanding of God and The Trinity. It’s fiction, but with a clear message. It’s a very easy to read, thought provoking, and entertaining. UPDATE! 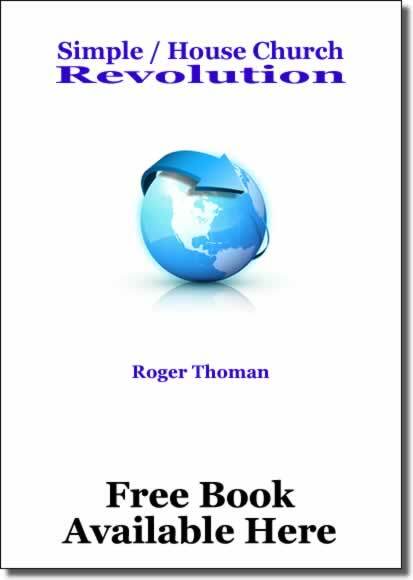 DOWNLOAD THIS BOOK FOR FREE HERE!!!! The Master Plan For Evangelism, by Robert Coleman. A book about evangelism & discipleship (not sure why we separate the two these days? ), Coleman takes a look at the “Masters’ Plan” for reaching the world with the Gospel. While not written about “simple church,” this book, in my opinion, exceptionally highlights why and how intentionally focusing on following Jesus’ way of fulfilling the Great Commission can lead to simple church multiplication. I would suggest adding another book to your recommended reading list. “The Casual Christian” by Cross Books is coming out this fall. It is an expose on the failure of the post modern church to advance the kingdom of Christ in our generation. It describes the influence of post modern values on church doctrine and management. Preoccupation with church buildings, entrusting ministry to the professionals, adopting organizational models based on corporate America, the substitution of programs for one-to-one ministry, lack of accountability among the clergy, and supplanting of eternal hope with a wholly temporal perspective are some of the topics covered. Neil Cole’s “Organic Leadership” and “Search & Rescue” have also been very helpful to me. Who is “I” when you say “I believe …” ? Me! 🙂 … Gavin Duerson. I need to update this post and clarify. Thanks!